We have been providing solutions in home renovations for over thirty years. Continually expanding our business by offering clients unsurpassed customer service, quality craftsmanship and integrity. All services are provided by state licensed contractors specialized in plumbing and handyman services. Let us provide creative solutions to your home remodeling projects by creating your visions. From a kitchen that provides a gathering spot for friends and family, a bathroom that is functional and provides a relaxing retreat or modifications to provide a safe home for aging and handicap needs we can allow your dream to become a reality. Not only will our professionalism as we complete your home repairs provide you with peace of mind but also an increase in the value of your home. 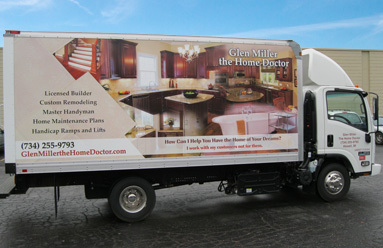 We will exceed your expectations as we handle your remodeling, repair and home modifications. The most appropriate solutions and highest quality service is brought to every project we provide for you and your home.